In this master bedroom installation, KEF Audio front speakers were mounted in the ceiling and, when the system is in use, a built-in motor lowers the front edge of the speaker to point the sound in the direction of the bed. 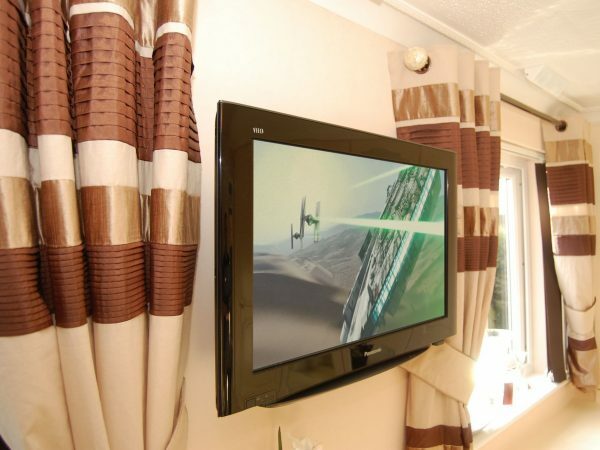 The system electronics were neatly concealed in a wardrobe positioned to the right of the television and the rear speakers were mounted flush in a bridging unit above the bed. To complete the system, a REL Subwoofer resides in a corner of the room.